Fully restored Clean restoration detailed most everywhere, Has still motor gear traverse as on the Barndoor. 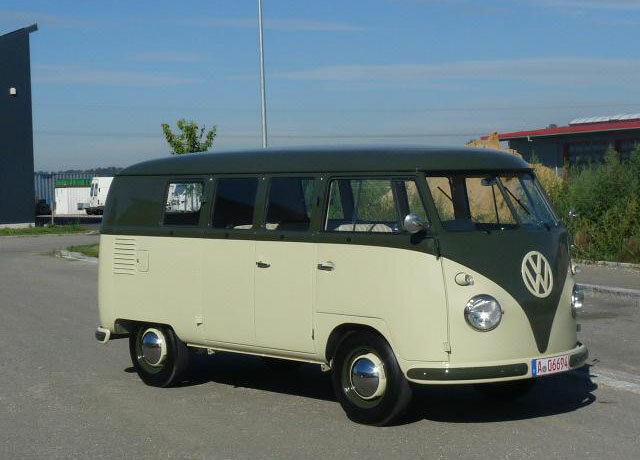 VW bus with very rare color combination Palm green sand Green. Model T1 11 window bus with original 1200cc engine 25 kW (34 HP), Engine looks clean, dry, Runs and drives is cool classic bus. Absolute collector status, this very rare bus copy built from 1955-1958. TÜV and H admission when purchasing new Vehicle certificate from Wolfsburg.